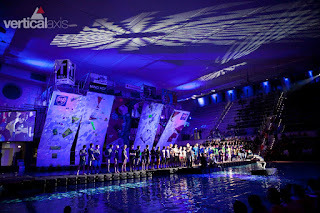 DWSWORLD - PSICOBLOC: Deep Water Bouldering! 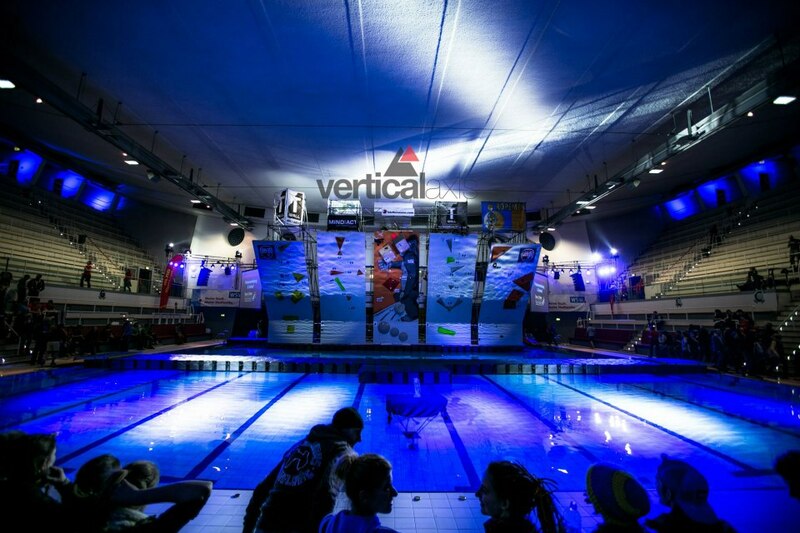 HardMoves bouldering League and Wuppertal swimming pool in Germany have hosted what they have named as a ‘Deep Water Bouldering’ competition. 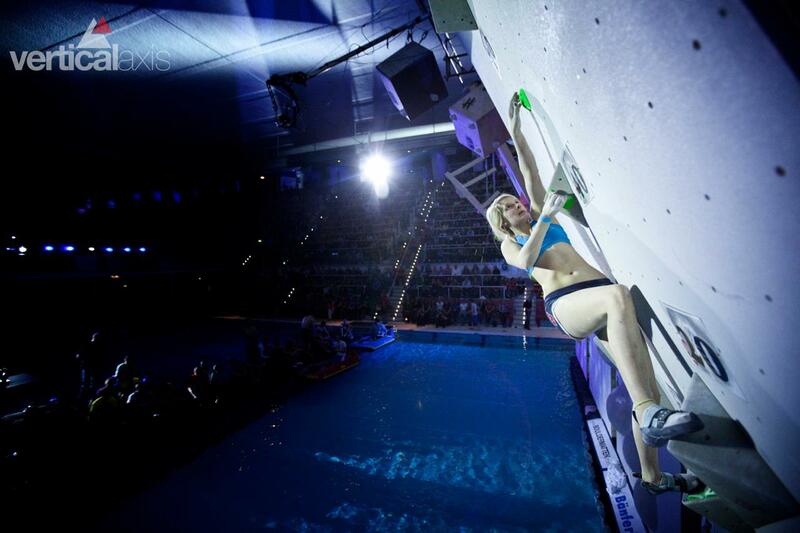 Many climbers competed against each other on the steep boulder problems above the swimming pool. The seven metres high construction was especially built for the event and was mounted on floating platforms. Two big screens were set up for all to see with TV cameras filming the finalists. It was a Sell out! They even had a second location with live stream on screen for people who did not manage to get tickets. 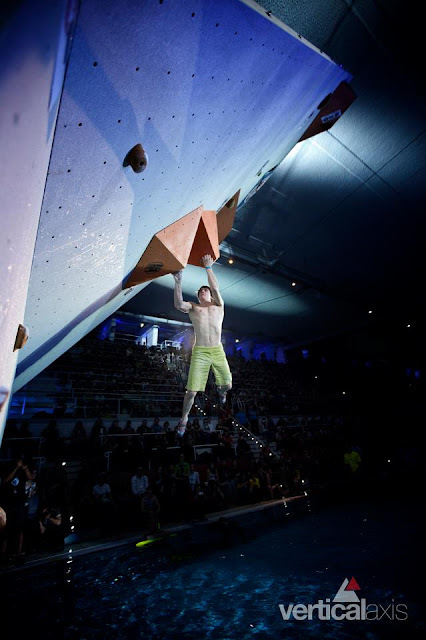 HardMoves boulder league is an independent association of Europe’s best bouldering and climbing gyms coming together to produce probably the largest bouldering competition in Europe. In a qualification round, twenty gyms find a mixed team of their 10 best boulderers to represent them at the events. In spectacular finals, the twelve teams of these gyms face off against each other to win grand prizes. Hopfully we will see more Deep Water Soloing Comps in Europe and one day the UK!